"Building A Community One User At A Time"
The ARCHICAD USER website offers a monthly series of free training webinars hosted by internationally recognized ARCHICAD educator Eric Bobrow. In addition, it hosts a Worldwide User Directory, connecting ARCHICAD USERS from around the world in a new knowledge community. NEW: Free ARCHICAD Jobs Board! Post a Job | Contract | Your Resume and Connect with ARCHICAD USERS around the world. A journey down memory lane, as I turn 65 and celebrate 30 years working with ARCHICAD. Features interviews with David Marlatt AIA (head of Graphisoft US in the 90's) and Neil Wainwright (the person who changed my life, pointing me in the direction of working with ARCHICAD back in 1989). Check out the tour of original ARCHICAD boxes, manuals and marketing materials going back to version 4 - with lots of interesting stories about the journey! These monthly webinar sessions are offered as a free gift to the ARCHICAD User community. They feature interviews with leading users, onscreen review of projects, as well as training exploring ARCHICAD features in context. NOTE: If you can't make the live presentations, access to the replay recordings are made available to registrants. When you sign up, you'll also get a free Bronze Level membership in the ARCHICAD USER site, and may add yourself to the Worldwide User Directory. In this inspiring session Roderick Anderson and John Hallgarth shared more than two hours of cutting edge strategies for leveraging the power of ARCHICAD for cost estimation and construction management. An exceptional presentation full of actionable insights, tools and methods that you can use in your own projects. Roderick Anderson's Costa Rica design-build firm Sarco Architects specializes in high end vacation homes for U.S. and other foreign clients in beautiful tropical locations in Central America and the Caribbean. A long-time ARCHICAD user and pioneer, Roderick has presented his work at international BIM conferences, Graphisoft launch events, Masters of ARCHICAD Summits, as well as teaching the popular training course ARCHICAD and BIMx for Design Build. 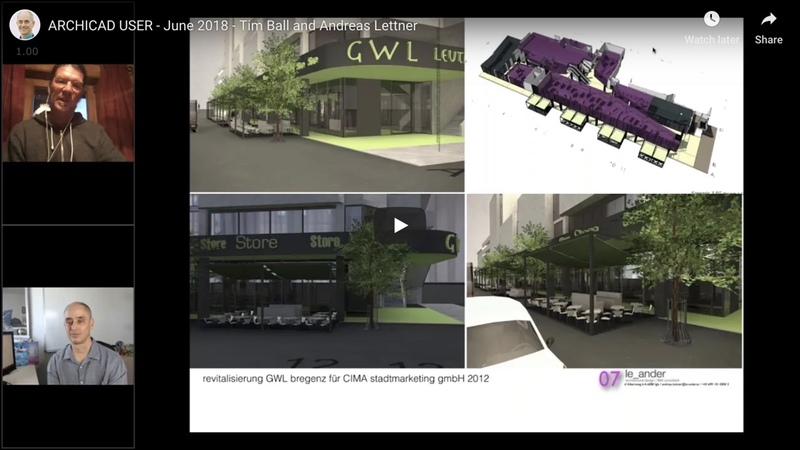 His presentation in the ARCHICAD USER webinar series in March 2018 was one of the highlights of last year. He shared with us his beautiful designs and masterful use of technology for efficiently and profitably delivering construction drawings as well as marketing materials for the Cap Limón Luxury Club Residences resort in the Dominican Republic. In the upcoming webinar Roderick will show his latest work and talk about some of the most interesting innovations and changes he has made to his ARCHICAD template. He'll also reprise his Best Practices 4 BIM presentation he made at BIM World MUNICH in November 2018, demonstrating how ARCHICAD and BIMx enable enhanced communication for project management during construction. Roderick has also developed a very effective hybrid 3D/2D/Data workflow for cost estimates and management of subcontractor trade contracts. He exports sets of views from his ARCHICAD model as PDF files into Bluebeam, and adds information and derives quantities for each trade. The visual linking of the quantity takeoffs and the notated drawings is particularly useful in ensuring that everything is being included and coordinated in estimates and construction. John Hallgarth worked as Virtual Design & Construction Manager at a large general contractor in Southern California, before venturing on his own to create a specialized ARCHICAD template known as ContraBIM. An important part of ContraBIM is the 5D component, which automates quantity reporting and model based estimating. This solution utilizes the power of data in ARCHICAD, and creates a bridge for reporting with Excel. John showed a preview of his specialized project template in the August 2018 ARCHICAD USER presentation, and will be returning to the webinar series to talk about how ARCHICAD users can set up their projects for detailed quantity takeoffs and cost estimation using Excel. John and I are jointly developing new resources that will launch this spring, including a version of MasterTemplate with an extended cost estimation system powered by ContraBIM, and a new Quantity Takeoff and Cost Estimation Course in the Masters of ARCHICAD Training Series. We'll share some preliminary information about these resources during this session. I am excited to share the inspiring work of these two ARCHICAD veterans with you and thousands of ARCHICAD USERs around the world in the March 11th webinar. 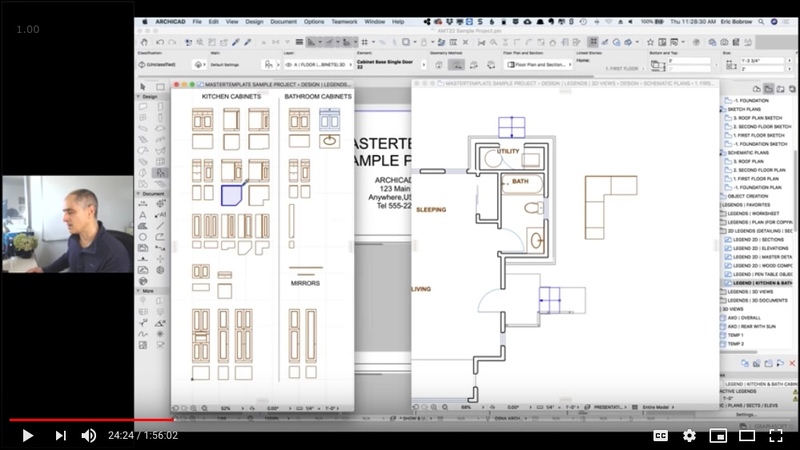 NEWS: During this session, John and I announced plans to integrate his C5D quantity and cost estimation workflow into MasterTemplate to make it easy for ARCHICAD USERs to run the numbers throughout the design process and optimize their project costs. We'll also be offering a course to teach the methods and systems that can make this a routine part of the workflow rather than an exotic or cumbersome exercise. We'll be posting additional information over the next few weeks - stay tuned! In this brand new free training webinar I presented 10 useful ARCHICAD tips, tricks and working methods that are "hidden in plain sight" in recent upgrades, covering a wide range of modeling, documentation, presentation and data usage. These 10 demonstrations show some really cool, fun, awesome and interesting new things. I bet you will learn several new tools and tips that can be put to use right away. NOTE: Recordings of earlier monthly sessions are posted on separate pages. You can access them by clicking on the titles or images below, or via the Webinar Recordings menu at the top of the screen. 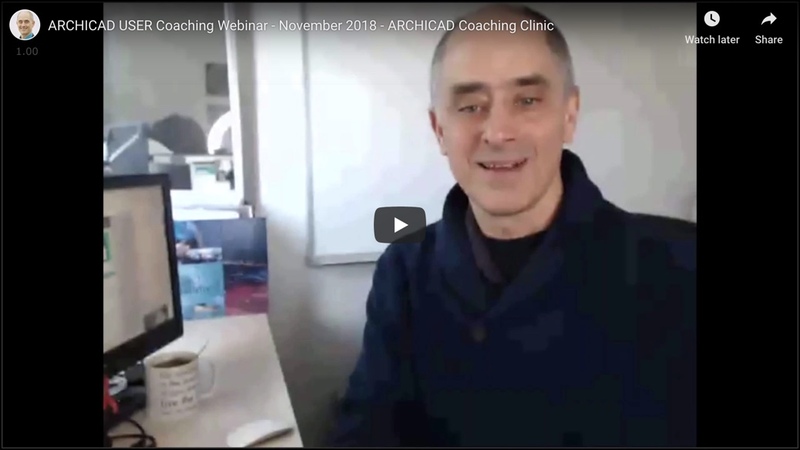 As part of my month-long Master ARCHICAD event, I offered a free ARCHICAD USER Coaching session in November 2018. There were a wide variety of questions from beginner through tricky advanced usage. It is my passion and mission to help ARCHICAD USERs get the most out of this software, and my group coaching sessions are a great way to help lots of users understand best practices methods and how to apply them to their own challenges. I've run online sessions like this for almost 8 years for members of my ARCHICAD Coaching Program, and in November I invited all ARCHICAD USERs to sit in, and get questions answered. While working on MasterTemplate 22, I figured out quick ways to achieve various graphic effects. They are so easy that I'm tempted to call them "tricks" however they are actually useful methods to produce images and drawings for client presentations as well as production work. Many of them rely on clever combinations of Graphic Override Rules and Combinations, fantastic options introduced in ARCHICAD 20. Others require careful setup in complex profiles, or specific settings in the 3D Window using the 3D Styles dialog, or the use of Model View Options. While I showed some of these in my recent presentation on MasterTemplate (and they are all included and preset for quick access in AMT22), this webinar goes through the step by step setup and use of a great many of the most useful and interesting graphic tricks that I've figured out in recent years. Watch the recording to see some cool options you can use in your projects! "Highlights from the Advanced Best Practices Course"
In June we had a very special presentation with two of my favorite ARCHICAD experts. Tim Ball (UK) and Andreas Lettner (Austria) are architects and veteran ARCHICAD users who created the Masters of ARCHICAD 2017 course with me. This online advanced Best Practices Course ran from July 2017 through May 2018, and covered the workflow, strategies and methods involved in the creation and development of a sizable hotel project, from concept through to working drawings and data extraction. In a series of 20 live classes broadcast twice monthly, we explored, demonstrated and explained a broad swath of ARCHICAD processes, sharing tips, step by step instructions and downloadable files. This is your opportunity to catch the highlights of the year in review, the best and most interesting parts of an in-depth educational journey. 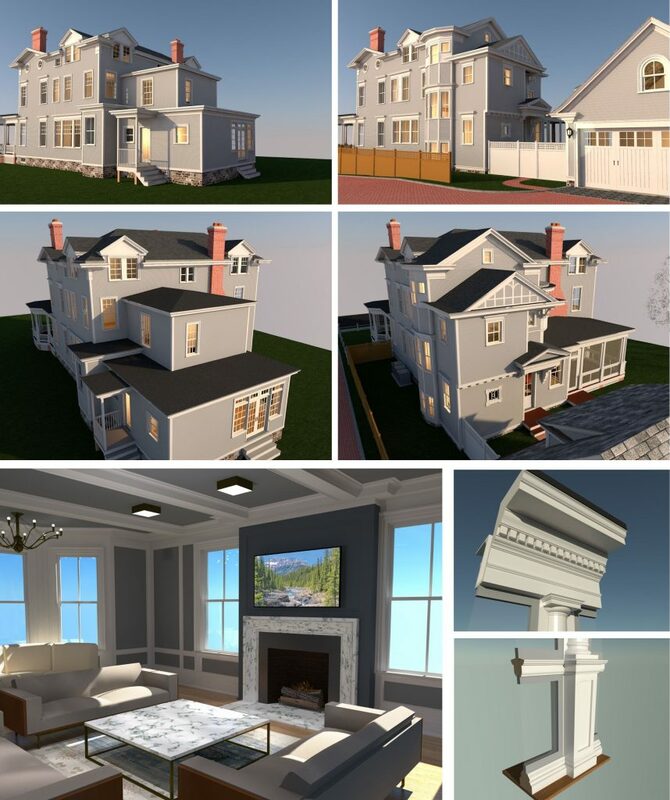 In May 2018, I interviewed Chip Hudson, a veteran ARCHICAD USER who has created one of the most highly developed and refined templates I've seen. It's going to be a treat to explore his project files to see how everything is dialed in for speed and consistency along with active scheduling and some innovative quantity take-offs. I love it when people like Chip are so willing to share their knowledge with the ARCHICAD community. He's even going to make available some parts of his template, including smart library components he's developed. In April, I interviewed award-winning Los Angeles architect Tracy Stone, whose firm emphasizes sustainable design in a modernist context. Their 4 person office has used ARCHICAD for close to 20 years, and been featured several times by Graphisoft for their innovative applications of the program in both architecture and interior design contexts. Tracy also teaches at several Los Angeles architectural programs, and shares her work periodically at ARCHICAD user group meetings. The firm has developed an efficient working methodology that we explored during the April training webinar. 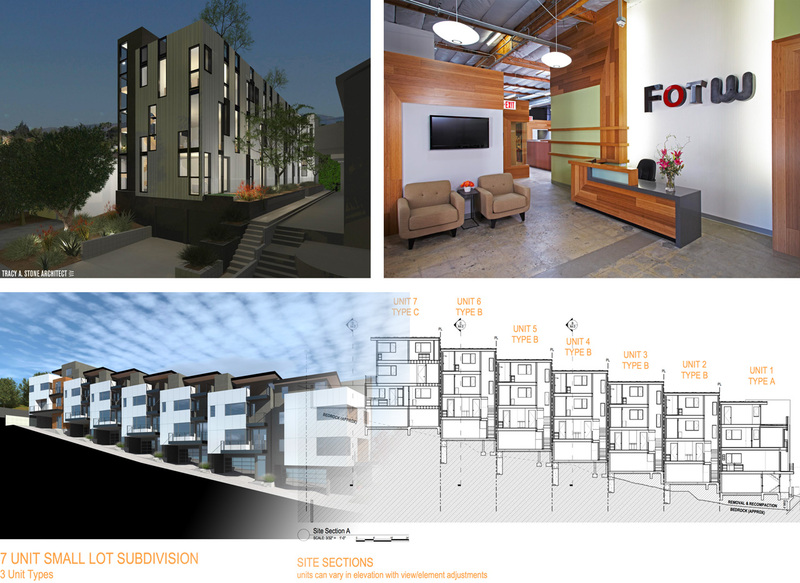 One of the challenging workflows Tracy Stone has tested and optimized relates to multi-unit designs on sloping sites. She showed us how they have worked out a method for placing hotlinked modules on negative stories within the same project, allowing them greater speed and simplified management as the design progresses. We also looked at her office standard template, and opened up some of the wide range of projects that she is known for. The March training webinar and case study interview showcased the work of award-winning Costa Rica architect Roderick Anderson, who has been featured by Graphisoft in articles and ARCHICAD launch events. Roderick also was a presenter in the Masters of ARCHICAD Summit and taught a course on BIMx Strategies for Design and Construction as part of the Masters training series. BONUS - Silver and Gold Level Members Only: Roderick shares a BIMx model of one of his recent projects - a rare chance to download and study the stunning work of an ARCHICAD Master! "Pushing ARCHICAD's Limits While Maintaining Profitability"
In the inaugural session January 16th, leading UK Architect Timothy Ball RIBA shared his latest work on an ambitious mid-size institutional project (a "care home" modeled with exquisite detail along with integrated BIM data) as he proves out his innovative methodologies on a larger scale. Ball is well-known for his pioneering work with superbly detailed 3D models that push the limits of ARCHICAD while maintaining a highly efficient and profitable practice. The recording of Tim Ball's presentation is now available on this page. 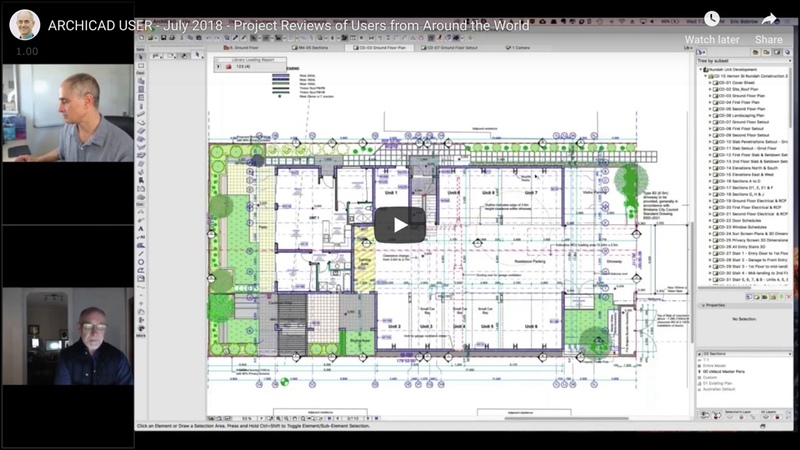 These monthly ARCHICAD USER webinars combine interview and discussion with live study and training based on a current project of an expert user. Each month I will interview and showcase the work of leading ARCHICAD users, weaving training content into the case studies. These sessions are the centerpiece of the new ARCHICAD User website, which will also provide access to additional tutorials and discussion, as well as discussion areas and a worldwide user directory. 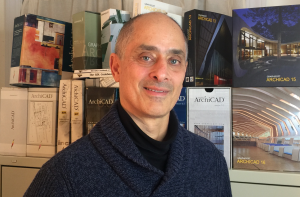 Eric Bobrow has worked with ArchiCAD for 29 years as a trainer and consultant. His firm Bobrow Consulting Group (BCG) was U.S. Reseller of the Year in 2000, ranked in the top 5 nationally for 10 years, and was awarded Graphisoft Platinum VAR status during a successful 20 year run, before he switched gears to focus on training and consulting in 2010. His ArchiCAD Tutorials channel on YouTube has over 23,000 subscribers and reached a ground-breaking 3.5 million views. 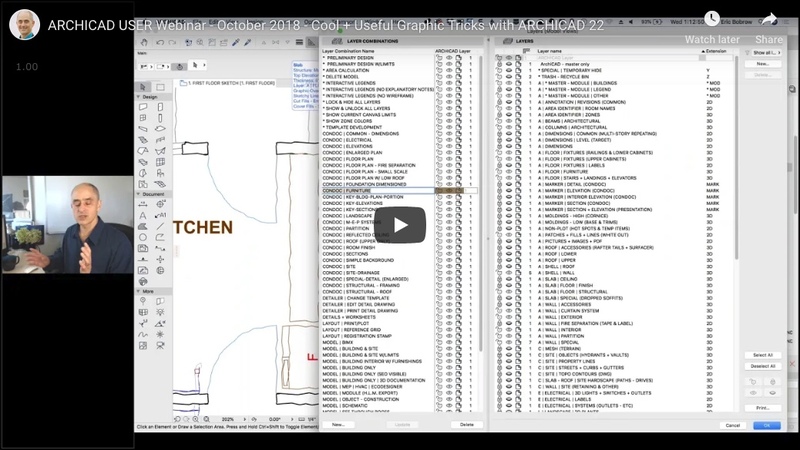 It is by far the most popular ArchiCAD video resource outside of Graphisoft itself. Bobrow is the founder and producer of the MASTERS of ARCHICAD SUMMIT and TRAINING SERIES as well as the ARCHICAD USER website. The ARCHICAD USER website is the home for a worldwide virtual user group. For 15 years I facilitated the Los Angeles ARCHICAD User Group, with an active membership of dozens of local users who attended monthly in-person meetings. We held our meetings at the local AIA chapter and at the offices of local firms. It was an immensely valuable experience for everyone involved, and I'd like to build something like it for users around the world. 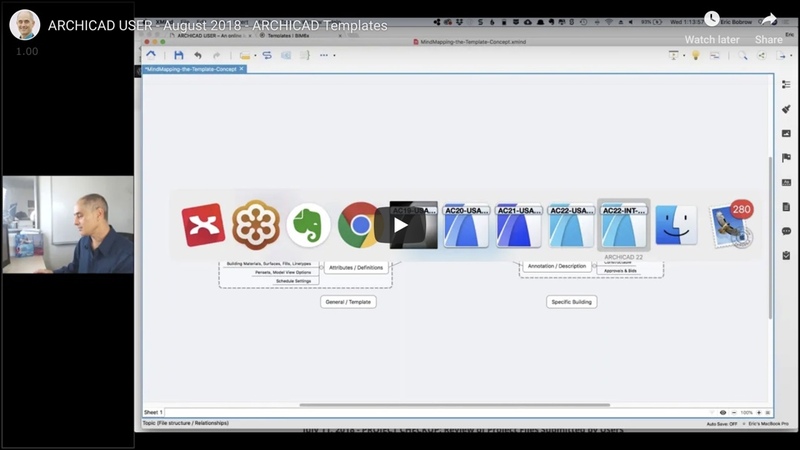 Programs for the ARCHICAD USER site include monthly live webinar presentations, recorded tutorial videos, resource downloads and discussion areas. The monthly webinars are a combination of case study, interview, Q&A and training content woven into an entertaining and educational 90 to 120 minute format. To bring together our virtual community, there is also a user directory. 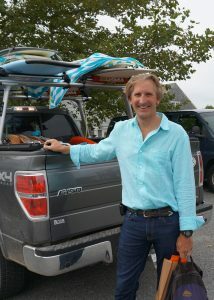 My plan is to facilitate personal connection, topic exploration and resource sharing in ways that are distinct from the ArchiCAD-Talk Forum and the existing LinkedIn and Facebook groups and pages. A major theme of the user group is the Journey Towards ARCHICAD Mastery, with tutorials and downloads for users ranging from beginner through expert and beyond. Free membership will give users access to most of the community resources, with paid levels available for people who want additional support for their ARCHICAD Journey. The site and infrastructure of the ARCHICAD User portal will be built out in a series of stages. I invite all users who would like to be part of a connected community to join us and share the journey, as we help bring up the general level of knowledge and enjoyment of ARCHICAD. The ARCHICAD USER website is an educational resource that is independent of Graphisoft, allowing us to focus entirely on inspiring, training, educating and delighting ArchiCAD users. Graphisoft and ARCHICAD are registered trademarks of Graphisoft SE. All of us involved in the ARCHICAD USER website are grateful for the cutting edge software that Graphisoft develops and distributes. It is what brings us together here, and continues to be the inspiring tool that liberates us to create better designs with more ease and efficiency than any other BIM product.